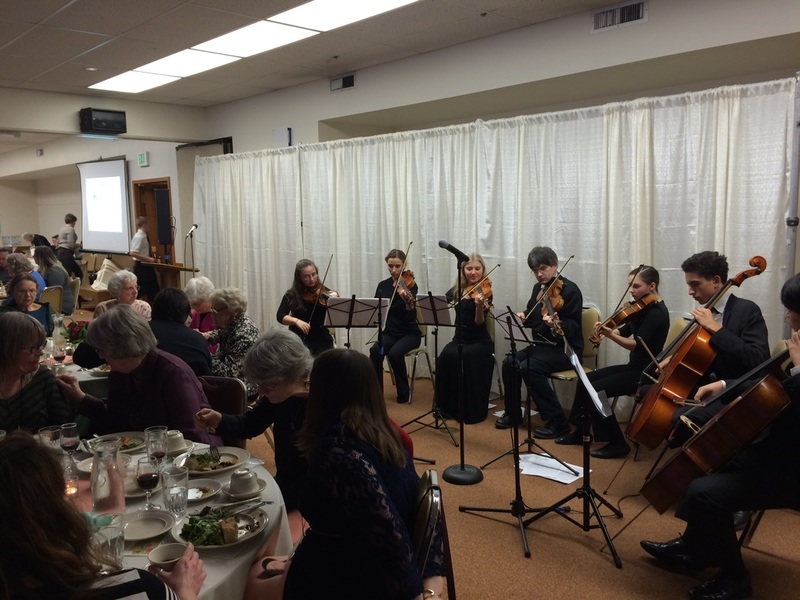 participate in the Chamber Ensemble for no additional cost. Members receive music and coaching in exchange for representing CYSO at contracted performances and local charity events. 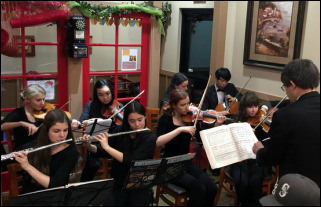 The Chamber Ensemble normally practices from 6:00-7:00PM on Mondays, before the orchestra rehearsals at EWHS. Each student typically comes to about two practices a month. 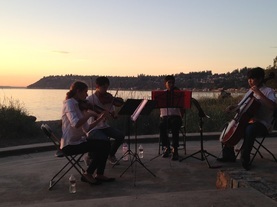 The Seattle area has many great places for small groups to play music together! 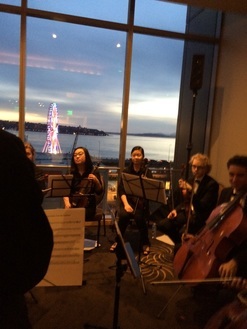 Playing at Uncle Peteza's restaurant in Bothell with guest musicians from the flute section.